I am having a completely nonverbal experience. I am looking for a composition that has the maximum amount of depth, chaos, and tension, while still resolving at a very high level of order. Sometimes when I am photographing, I imagine there are these tentacles going out from my eyeballs, long strings that have these little fingers on their ends, and they are literally scrubbing the surfaces of everything I look at, emotionally and physically. 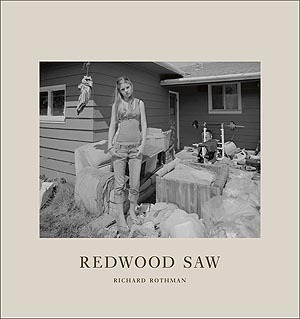 The other day, I got a copy of the new book by Richard Rothman in the mail, Redwood Saw. 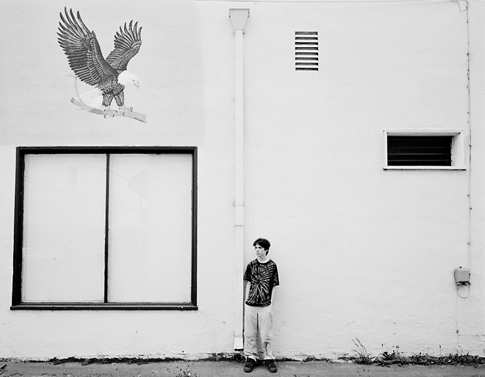 The photographs were made in Northern California over a period of several years. 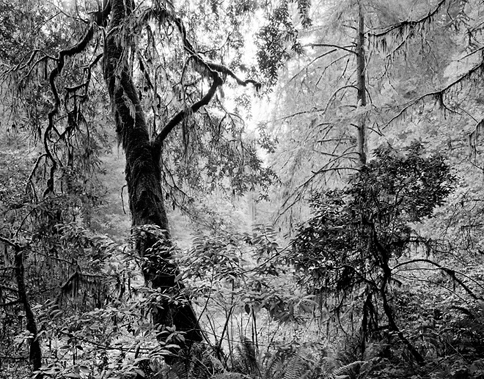 Originally, Rothman set out to photograph the old-growth forests on the northern coast. 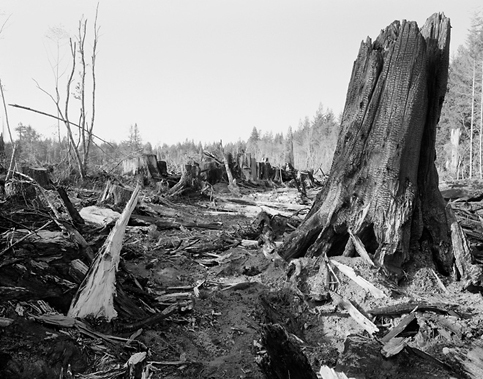 The project evolved, and Rothman worked beyond the old-growth forests, and additionally photographed clear cuts, the coastline itself, and the people and architecture of Crescent City. The photographs of the redwoods and the old-growth forest are lovely, full of wonderful light, complicated compositions, and a profound natural beauty. As Rothman explored more of the landscape and the project evolved, his work became a much more complicated, offering a look at the complex mix of beauty, tragedy, hope and pain that characterize the region, the people, and the time. The book is remarkable. 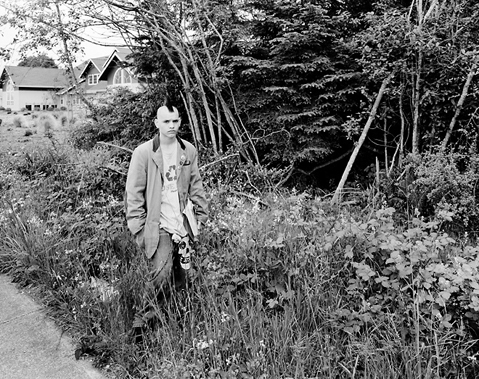 The pictures are black and white, made with a 4×5 view camera. The compositions and technique are exquisite, and the reproductions in the book are of the highest standard. And I found an important and refreshing reminder in these pictures. Invention is not the result of compositional trickery (perhaps characterized by Abe Morell’s tent photographs), nor a sort of gamemanship often seen in contemporary work (like in the novelty of Joni Harbeck’s and Neil Krug’s work), but rather is the result of seeing a subject with clarity, honesty, and integrity. The invention in Redwood Saw is in the quality of seeing, and the quality of story-telling, or simply as Sommer put it, in the quality of attention.